For those looking to buy a first house, there is a lot to consider. Where do I buy? How much do I spend? How will I afford this? With the struggles the economy has been through, now may be a better time then ever to buy that first home. Click here to see a video with a buyer’s guide to finding that first house. The economy has been tough on everyone, but for first time homebuyers it may be a blessing in disguise. Financial experts say it’s a sounds investment as long as you don’t pay more than the house is worth or get a mortgage that is too big for you to pay. Real estate agents are reaching out to first time homebuyers more than ever. 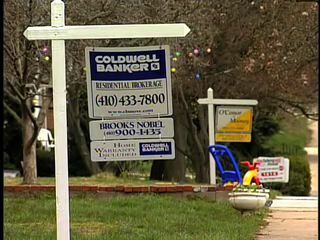 Listen to Alyssia Essig, a Real Estate Agent with Prudential Carruthers Real Estate in Baltimore, as she has a couple of tips for those first time buyers. Ajax Amsterdam falls to FC Utrecht, a team I have said others should not sleep on, by a 2-0 score. Reigning Eredivisie champions, AZ Alkmaar decided enough was enough and gave head coach Ronald Koeman his walking papers just before the mid-point of the season. Continue reading “Dutch Digest – Week 16” at World Soccer Reader. On Friday, the groupings for the 2010 World Cup in South Africa were drawn. Being the U.S. men’s national team correspondent for World Soccer Reader, it was kind of important that I watch this. Well, the Yanks found themselves with a good draw. Rounding out Group C was England, the U.S., Algeria and Slovenia. While American supporters were thrilled with the group, I took the time to look a little closer at next summer’s competition. Continue Reading “USMNT: A Closer Look At Group C” at World Soccer Reader. These guys are passionate fans, why aren't you? After some (okay, a lot of) technical difficulty my second slideshow is complete and able to be posted. 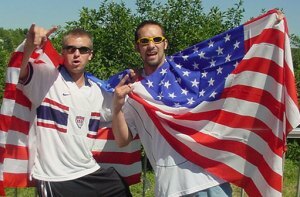 This slideshow is in accordance with my MCOM 407 project looking at soccer fandom in the U.S.
Two U.S. soccer fans helped me out and offered their thoughts and opinions. They are Ryan van Brackel, of Chestertown, Md., and Rocco Praglowski, of Arnold, Md. Thanks guys! It’s your source for everything Dutch football. Ajax cruises by Vitesse. PSV need three goals for three points. I continue to be impressed by FC Utrecht. Continue Reading “Dutch Digest – Week 15” at World Soccer Reader.